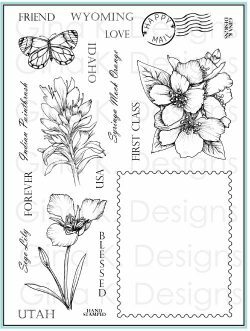 Take a virtual stamping road trip across the US, with official flowers from every state, with the “Stately Flowers” series! 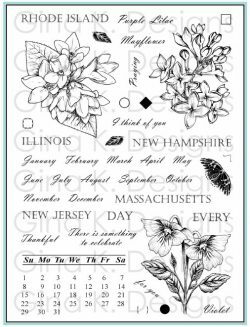 You’ll love being able to represent your own or a loved one’s home state on card, scrapbook pages, gifts and more with these gorgeous blooms, or just enjoy them for the fabulous florals they are! Collect them all! All Stately Flower sets can be used with the coordinating “Make a State-ment” set for added sentiments and versatility. Take advantage of the free pdf which provides every state name in a variety of fonts and sizes to go with these greetings and images, ready to download and print now from the StampTV Freebies page. Made in the USA in high quality clear photopolymer.